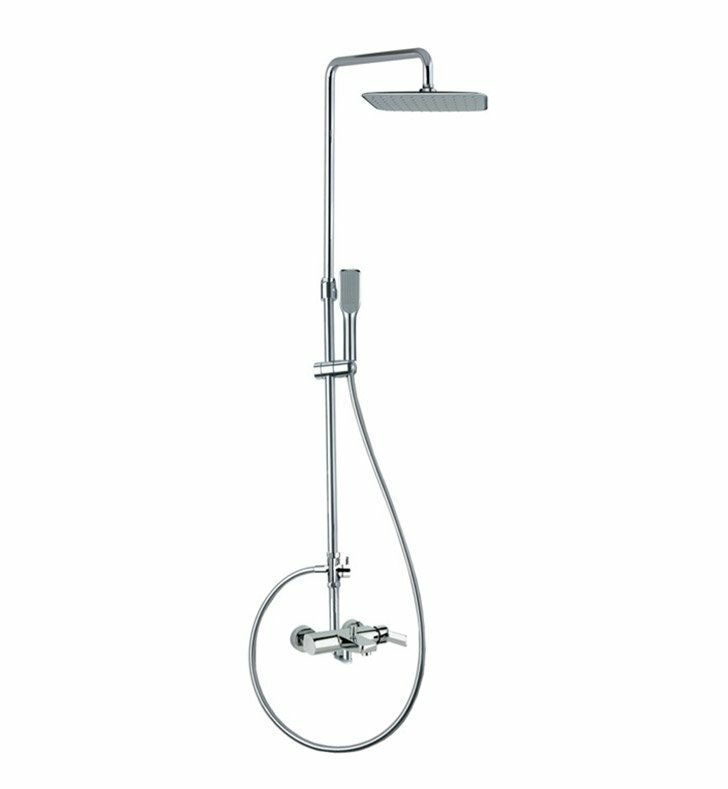 Ramon Soler's RS-Q 3 hole, single handle (lever handle style) shower column is a shower column that compliments a contemporary style personal bath. 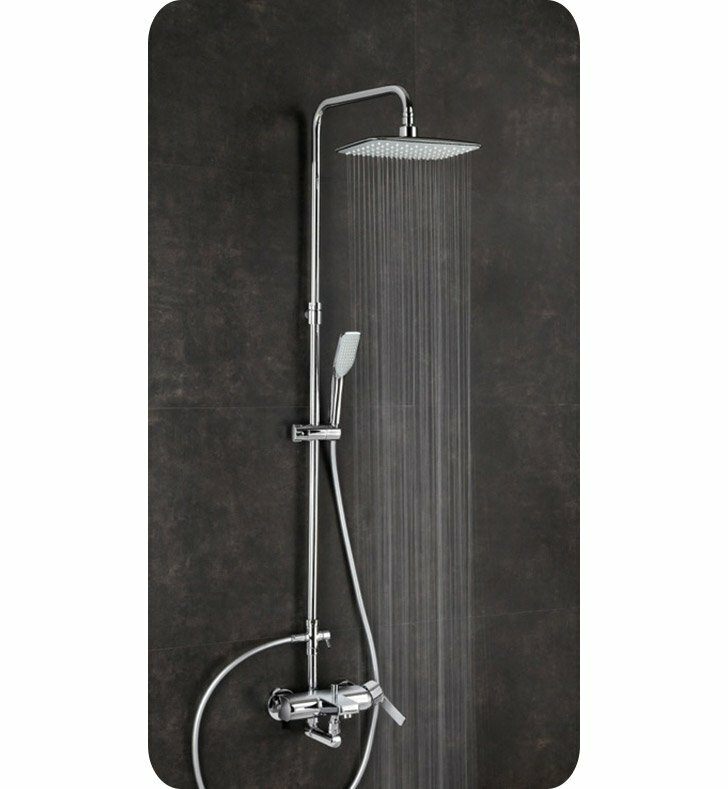 Imported from and manufactured in Spain by Ramon Soler, this wall hung shower column is a designer option for your high-end master bathroom. Match all your other chrome bathroom fixtures with this designer chrome shower column, made in very high quality brass.